This is a photo I took outside an antique store in Provincetown, Mass when I was visiting friends. I love rusty things. Aged beauty in any form is evocative to me. 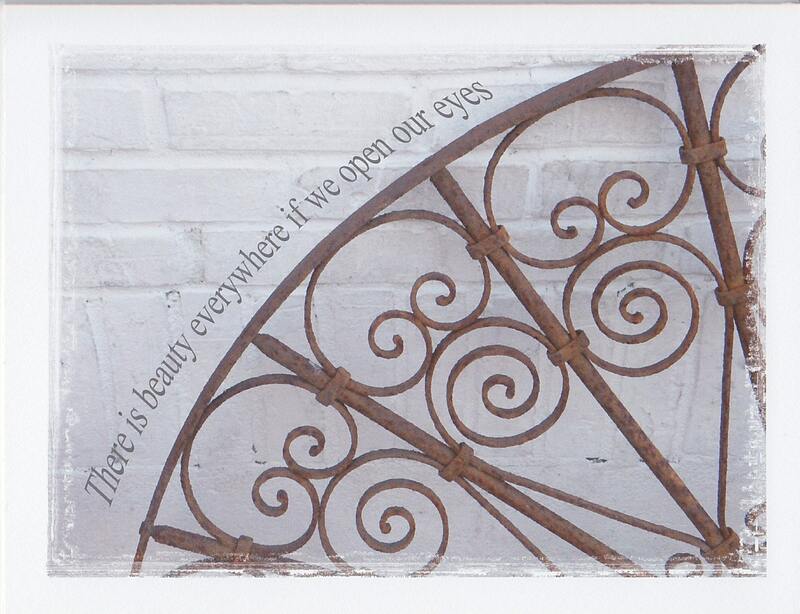 This is a wrought iron piece that I think would make for a wonderful headboard. Each notecard measures 4"x5" and comes with a kraft brown envelope in a cello sleeve. I distress the edges to make it look time worn.